An aluminum fence is a great addition to any home or commercial space. They’re elegant, long-lasting, cost-effective, and most require very little maintenance. However, you will want to practice a few chores to keep it looking great and functioning well. Keep the following tips in mind if your aluminum fence needs some attention. Because aluminum is nonporous, it’s not likely to collect much grime, buildup, or growth. Some will settle on the surface, however, and can be easily cleaned off with a garden hose. Simply rinse your fence, making sure to address the seams around connecting pieces where dirt may gather. For finer cleanings, use a wet cloth dipped in water and leave it to air dry. Doing this every few weeks will keep your aluminum fence looking great. 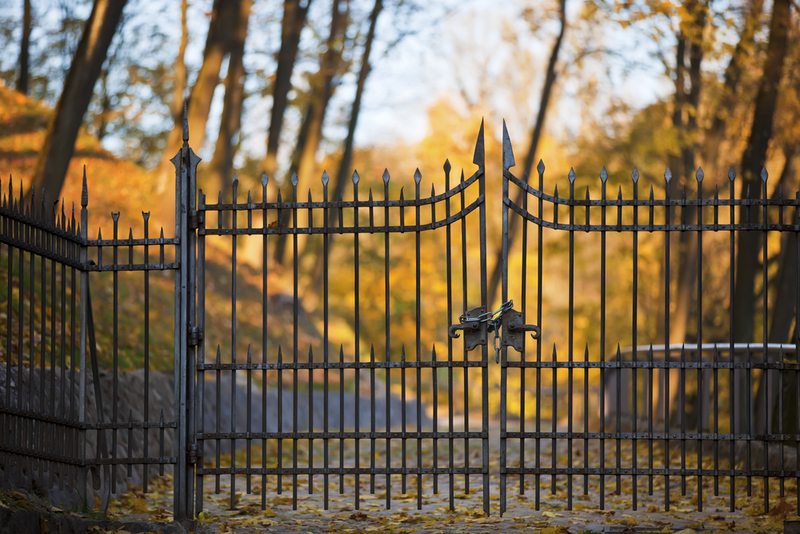 It’s easy to forget about your gate when caring for your aluminum fence. But, it’s actually one of the most intricate, delicate parts. Check it every few months to ensure it’s held secure to the post and oil the hinges. Check screws to be sure they’re all tightened and reinforce the holding post if it’s slightly loose. Also, keep children off the gate and never lean anything against it. If you decide to use a cleaner to remove materials stuck to your aluminum fence, avoid household products and other harsh chemicals. Acids and industrial cleaners may damage the surface or erode paint. Instead, use something simple and organic. Warm water and baking soda are usually enough to tackle the job, and if you need more power, rent a pressure washer to wash stubborn debris away. With proper care, an aluminum fence can last decades, so stick to a regular maintenance regimen. If you’re interested in adding a fence to your property, turn to Herb Geddes Fence Company, Inc. of Nicholasville, KY. They’ve served the area for over 50 years and carry a wide selection of materials, including aluminum, wood, and vinyl. They proudly maintain an A+ rating with the Better Business Bureau®, and as a family-owned company, are committed to ensuring customers get lasting results. Call (859) 885-2215 to speak with a representative and visit their website to explore their fence repair and commercial fence options.